With the Wii U’s development cost being rumored at approximately $180 per unit, including controller components, an anonymous source indicates that it may come to retail at no less than $300, a higher mark on the price chart than Nintendo are known for. Nintendo’s new controller for the console is valued at roughly $50, making up nearly 30% of the overall development cost alone. While $300 is a new high for Nintendo, the price is reasonable from a consumer’s standpoint, with Microsoft initially launching their Xbox 360 at a price point of no less than $300 and Sony’s PlayStation 3 launching around $500. Taking into account that the original Wii’s initial price was $250, the jump isn’t necessarily a huge one, especially given that the new controller fills in the gap with its development cost, on top of the Wii U’s higher specifications and capabilities. This is still just a rumor at the moment, but it’s not far from the realm of possibility that this console could be Nintendo’s most expensive one yet. Does this possibility affect your decision to purchase it at launch? Leave a comment and let us know. Honestly, I’m not sure that the initial Nintendo 3DS launch price was necessarily greedy so much as an experiment to see how much consumers were willing to pay. With other companies launching their products at higher rates than them, it only makes sense that Nintendo tried to set a higher price-point for it, but we saw how that worked out for them. As for the Wii U, I personally don’t feel that they would charge more than they are normally comfortable with unless they had good reason to. Nintendo have never struck me as a greedy company. The CPU and GPU have to be set(though they could still tweak clock speeds). I guess they could add RAM, which wouldn’t be a bad idea by anymeans. You still have to factor in the cost of packaging, advertising, R and D, and Software shipped with Console. 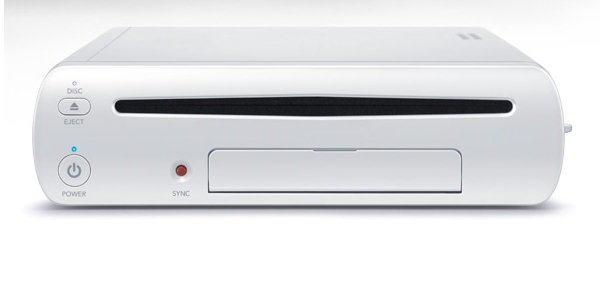 Once Wii U is released, we are likely to see PS360 price cuts. If Wii U releases at $300-$350 they still leave room for special bundles or even a price cut if needed to combat the expected PS360 price cuts. That’s cheap, and I would still buy it. I want to see the final specs of the hardware. Get it in everybody’s home and blast ps3 and xbox 360 out of the water. I would buy 2 at $250 if I could get them. They should price at $300, ship it with a pack in game like New Super Mario Bros Mii and Zelda HD demo. It’ll sell like hotcakes with mostly 360 ports if it comes with a free mario game. Just re-do some NSMB Wii levels, add 4 player mii support with online multiplayer and make it free and you’ve got a system seller.